La hawla wa la quwata illa billahil alyil azim. Tarikatuna Sohbet wal khayri min jami’at. taken away. It’s not yours. Nothing is yours and nothing is mine. Lord and you remember everything else. What’s the value? Nothing. So Allah subhana wa ta’ala created each one of us for His service. care of you too. He has created and He pays very high value to us. enemy, that is enough for you. Your biggest enemy is your ego. dies then the car doesn’t work anymore and people have to push it. that book, that is forever. Dunya and akhirat. much you write. Intelligence is not how much computer you know. that one who asks and who questions saying, “Who am I? What am I? taking me in? Treat me good!” You open the grave only to find dust. who are gone with the wind, down there, finished. it or do whatever you want with it.” It’s not a joke. It is real. do? Inshallah he reached to this age and he is going to a cemetery. The worse can happen, can come any minute. Allah has granted this life to us. We didn’t do anything to earn it. mouth.” I said, “So, Allah has put you in this difficult position. become helpless. Your children sometimes say words that are hurtful. You cannot do anything, you cannot change anything. be sorry here and hereafter. The intelligent man must be heedful. are going to go also. We must keep that alive in our hearts. comfortable with anything anywhere anytime any minute. Sheykh said in Juma Khutba recently that the number of salawat that we recite is not that important. What matters is the manner in which we say it: the wakeful station. One should sit somewhere for fifteen or twenty minutes, or half an hour or an hour, and make salawat while paying attention. This way we will get closer to the Prophet (sallallahu aleyhi wasallim) inshallah. 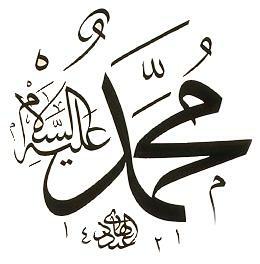 We are reciting as many short salawat as possible in preparation for the celebration of the birth of our Prophet Sayyidina Muhammad (salallahu aleyhi wasallim). You may keep a daily record of your salawat and turn them in to Mustafa on Friday, 12th Rabi al-Awwal. Fi masjid lillahi ta’ala, Ya Rahmatan lil Alamin. don’t need anything else. It is so easy. about it. For us being ignorant about it is not changing it. we leave? Which one can we escape? around us in today’s world that we cannot open our eyes. about, because our lives are given to us and we are responsible for our lives. questions are coming for him. it or not.” Say to me that it is not. It is for you and it is for me. of Prophet (saw) and put it in our lives. That is what Tarikat is teaching us. tightly to the traditions, sunnats and the lifestyle of our Prophet (saw). it’s a woman until 13 years of age, she’s not responsible. So twenty years. have the chance to clean. this world only. Now if you make it, you have the years between forty and sixty. when you reach to forty you say, “Oh! I shouldn’t work so much for this world. preparing ourselves for that goodness.